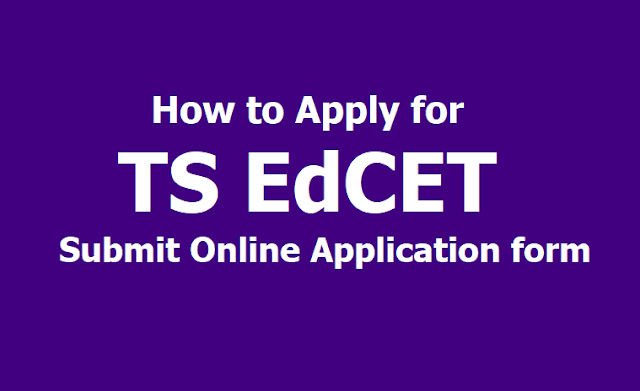 TSCHE issued the TS EdCET 2019 notification and applications are invited from the eligible candidates through online mode upto April 20. A Common Entrance Test, designated as Telangana State Education Common Entrance Test-2019 (TS Ed.CET2019) will be conducted by the Osmania University, Hyderabad on behalf of the Telangana State Council of Higher Education for admission in to B.Ed (Two years) Regular Course in the Colleges of Education in Telangana State for the academic year 2019-2020. TS EdCET will be conducted on May 30. Candidates satisfying the following requirements shall be eligible to appear for TS Ed.CET-2019 (CBT) for admission into 2-year B.Ed Course. The candidate should satisfy „local‟ / „non- local‟ Status requirements as laid down in the Telangana Educational Institutions (Regulation of Admission) Order, 1974, as subsequently amended. (f) Note: As per the GO MS No:13 dated. 27/5/2017, the Candidates possessing MBBS/ BSC (AG) / BVSC/ BHMT/ B.Pharm and such other professional and job oriented degree courses Viz., LLB are not eligible for admission into B.Ed Course. How to apply for TS EdCET 2019?